Aidan is a perfect 10! hahaa I meant, he has turned 10 months old! Here are some of his milestones! He is a champion crawler now. Once he sees something that he's interested in, he'll crawl really fast to the item. Commando standard yo! It's a little bit better with the carseat now. There are times where he wails, but there are times where he just 'endures' the car rides. He is really very inquisitive now. He loves looking and touching at things. Unfortunately, the distract method does not work on him anymore. When we pry the item out of his clutches. he cries like mad. He has learnt to point. He now gestures by pointing at things. Randomly. He is quite vocal now. He would coo and make the cutest baby sounds and gabbles at times. He also cries loudly at times when unhappy or if he wants to be carried. He has mastered the grouchy and pouty look much to our amusement though most of the times he's pretty much a smiley baby. We brought him to the public pools recently. Though he seemed a bit apprehensive at first, after that he really enjoyed himself. Happy 10 months old my precious baby. He's growing up way too fast! We'll be planning for Aidan's 1 year birthday celebration soon. Do feel free to share tips and vendor recommendations! And if you'll like to collaborate, do contact me here! 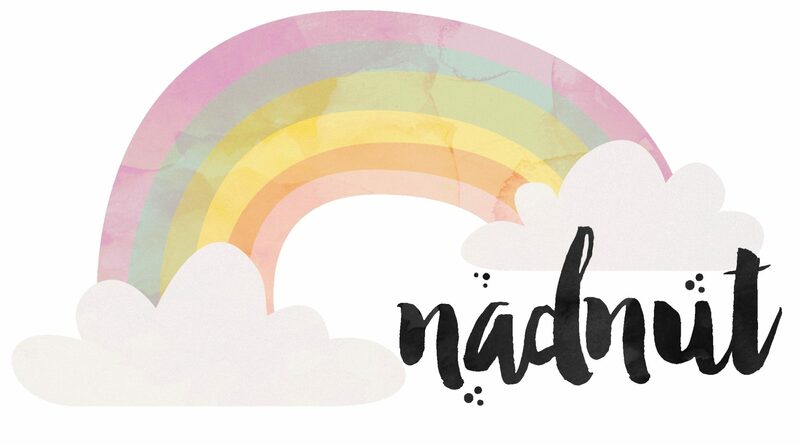 Posted in #AidanSim, #nadskaijunior, Announcements, Life and Fun, Love, Singapore Lifestyle Blog, Singapore Mom Blog, Singapore Parenting Blog. Tags: #nadskaijunior, Aidan Sim, baby aidan, nadnut, nadnut tula, nadnut.com, nadnut.com - Singapore Lifestyle Blog, Parenthood Blog Singapore, Parenting Blogger, Parenting Bloggers Singapore, Pregnancy, Singapore Baby Blog, singapore lifestyle blog, singapore lifestyle blogger, Singapore Mom Blog, Singapore Mom Blogger, Singapore Mommy Blogger, Singapore Motherhood, Singapore Parenthood Blog, Singapore Parenting Blog, Singapore Parenting Blog: #nadskaijunior on January 24, 2017 by nadnut. Carrie had loaned me a Circles.Life plan for the past 3 months and I've been testing it out. Here are some thoughts on my experience. Circles.Life uses the M1 network (which I'm a current user). As such, I didn't face any difference from my current telco and Circles.Life. As what I shared previously with my fellow Punggolians, I don't face any downtime and my coverage is fine. It's 3-4 bars out of 5, same as what I face with M1. I like the fact that I can customise my plans. Add more data, reduce minutes and sms-es anytime. I can choose to "upgrade" or "downgrade" anytime and not be fixed to a specific "plan". If this month, I need more data, all I have to do is just pay for additional data. Easy peasy! 3. Pay for what you use. Most mobile plans comes with a set number of minutes and sms-es. I hardly use them. Like I use LINE or Whatsapp most of the time. With Circles.Life, you'll need not be bogged down with "set meals" anymore. No commitments. Forget about being stuck in a clingy relationship. The good thing about Circles.Life is you can say bye anytime. 5. They'll deliver it to you. After applying online, they'll courier the sim card to you. Which is awesome. Just take note not to miss the courier as you'll be billed for a re-delivery fee. This is just my experience with Circles.Life so far. I'm not paid in anyway to write and I'm honestly just reviewing this for a good friend. If you sign up, use this referral code "20FREE" and get $20 off your Circles.Life registration fee. Enjoy! Posted in Reviews, Singapore Lifestyle Blog. Tags: Circles Promo Code, Circles.Life, Circles.Life promo code, Circles.Life review, nadnut, nadnut.com, nadnut.com - Singapore Lifestyle Blog, singapore lifestyle blog, singapore lifestyle blogger on January 12, 2017 by nadnut.